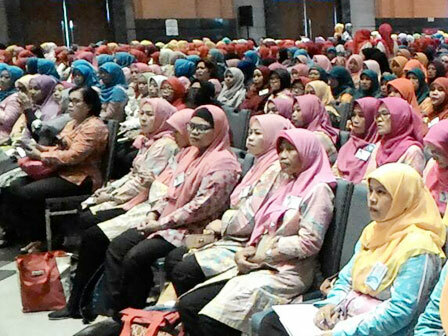 " Training is focused on character education"
Around 1,200 teachers of Early Childhood Education Centers (PAUD), North Jakarta are undergoing character education training, Monday (9/18). The training itself is held by Jakarta TP PKK by cooperating with Jakarta Education Dept. Jakarta Education Dept. 's PAUD and Dikmas Section Head, Fery Safarudin said training that will run three days is focused on character education. "Training is focused on character education. This is actually a national program. And in Jakarta, it is held by TP PPK by cooperating with Jakarta Education Dept.," he stated, at Islamic Center, Koja. Hopefully it could be held throughout the region. Thus all PAUD teachers will get the same knowledge and knowledge in educating. "Every participant will get certificate. It aims to improve the quality and performance in each PAUD," he closed.